Okay, it’s a rubbish title, but a tasty, quick, colourful and healthy food! I’m calling it a pancake wrap, as it really is part way between the two, it’s made out of a batter, but is a bit more substantial than a pancake! 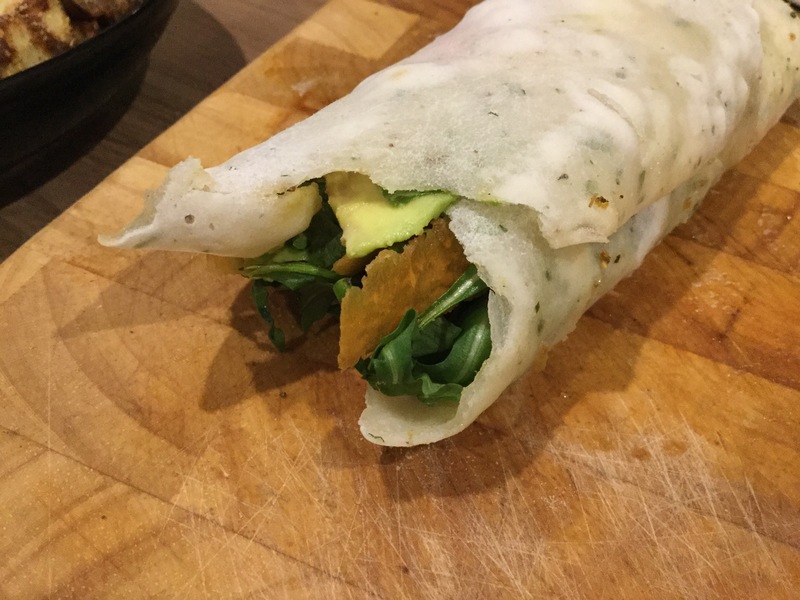 The pancake wrap holds together well, and the filling is full of the tastes of summer! Sweet carrot, peppery rocket, bright tomatoes,crunchy celery, creamy avocado.. the tangy dressing really lifts the wrap and pulls the flavours together. I’m using a mix of flours for the wrap but a pre-mixed gluten free plain flour should work in the same way. The side I’m serving it with is our crispy potatoes to make a really filling meal. Mix together all the dry ingredients for the pancake wrap, so the flours are incorporated with each other, then whisk in the wet ingredients. Pour half of the mix into the hot pan and swirl round quickly to cover as much of the pan as possible, cook till the top looks dry then flip and cook for another couple of minutes. 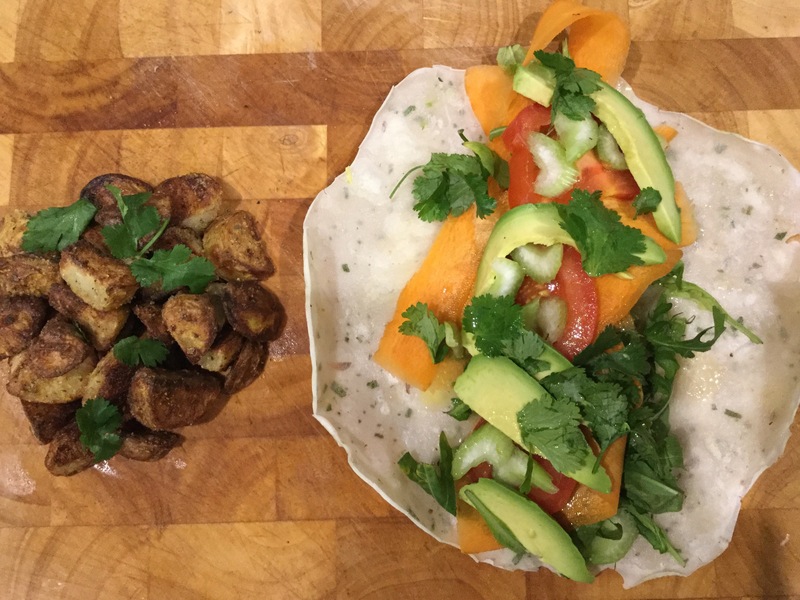 Plate up by piling the veg onto the pancake wrap, then drizzle over the dressing and roll up for eating! Just buy oats (GF for Ellie) and blitz them up! Far cheaper! 🙂 Cassava & Tapioca flours I believe are from the same plant but go through different processes? Cassava is the whole root and tapioca is just the starchy part? Oh a great alternative to the savoury pancakes we enjoy. It’s inspired me yo try something different. Thanks for sharing.